Check out the various professional cleaning tips that are handy enough for you to try. Do carpet stains make your life difficult and put your health at stake? Time to put an end to such problems! 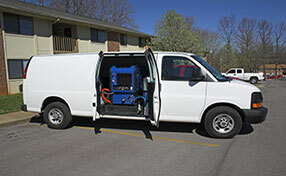 Take a minute to go through the following carpet cleaning tips! Find out how to deal with carpet mold, water damage, bad odors and stains. Learn how to keep carpets fresh and protect your health. Learn how to clean your carpet in a hassle free manner. Find out how with these easy-to-follow tips. 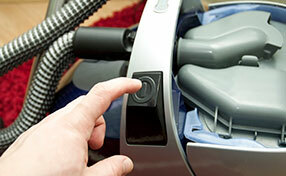 It’s essential to know the right way to clean carpets to ensure that they remain dust free. First do not set the vacuum cleaner too low as it can damage your carpet and the roller brush, so adjust the height accordingly. The right speed is also important. The best way to do it is to run the cleaner quickly just once in a low traffic area, and twice slowly in a high traffic zone. Carpet cleaning is essential as they help remove dust and other allergens; however, some cleaning products are toxic and can affect your health and the environment. Carpet Cleaning Saratoga specialists advise carpet owners to use eco-friendly cleaning agents and read up the list of ingredients before buying. Try preventive measures like using mats outside the home or leaving footwear by the door to keep toxins away. If you prefer shampooing your home carpets instead of using carpet cleaning powders, make sure the fibers do not get extensively wet. You should use enough water to clean the dirt area, but don't overdo it. Too much water will be absorbed by fibers and the carpet will be wet at both sides. It will be harder for you to dry the area well and fast. Still, you should keep the room ventilated and dry completely the carpet to avoid mold damage. When you spill a drink on the floor, you must never rush to rub it. This will actually get the coloring pigments deeper into the fibers and make the problem worse. Use dry soft cloth to blot the stain. Simply press the cloth against the floor and hold it for a few seconds. Even if the stain is not completely removed, damage will be contained. You should not leave the floors wet as they become slippery and the risk of slipping and falling is considerable. Use a microfiber cloth to remove any excess water remaining on the floor. It will absorb the liquid fully even with a single swipe and will not leave any fibers on the sparkly tiles.